Posted January 18, 2017 by Dr. Ehrenman & Dr. Khan & filed under Oral Care. Our pediatric dental office in Long Island gets asked questions quite often, and we’re always here to help in any way we can. 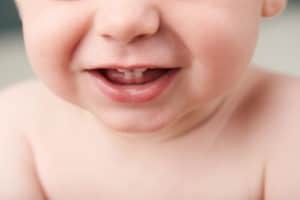 One of the more common questions we get is from new parents curious about when they should bring their child in for their first dental appointment, and we’re more than happy to guide them. At your child’s first visit to her pediatric dentist in Long Island, she’ll have a quick exam to start getting her comfortable with dental visits. During this exam, the dentist will check for any areas of concern, evaluate her risk for developing cavities, and look for any potential issues with her bite, gums, and jaw. If you’re looking for a dentist for your child, give our Long Island pediatric dental office a call to schedule an appointment. Accepting new patients from Long Island, Westbury, Nassau County and the surrounding areas.